Based on India's rich herbal wealth the partially proved medicines are proved to serve the cause of CURE. A perfect cure should be 'Rapid, Gentle and Permanent' as per the "Philosophy of Homoeopathy", thus selection of the right ingredients and processed through the right methods becomes utmost necessary. 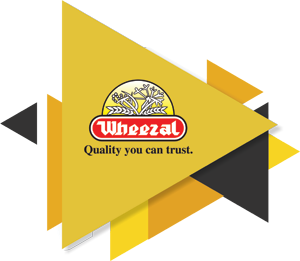 At Wheezal's, extreme care is taken in all facets of production. Stringent quality control with impeccable Standard Operating Procedure (SOP) is followed. Elaborate measures are taken at Wheezal's to produce high-quality medicines by the application of testing for strict conformance with Pharmaceutical requirements before being put to use. Extra Neutral Alcohol (ENA) of the highest purity, obtained from the world class distilleries and transported under strict supervision in stainless steel tankers. It is further tested and micron-filtered and then stored in stainless steel vessels to guard it against any metallic contamination. Wheezal’s Original back potencies prepared from our in-house computerized potentiser are used to make dilutions. Controlled environment by using HEPA (HIGH-EFFICIENCY PARTICULATE AIR FILTER) filters and laminar flow housing. Only HMS (Holland Made Saccharum) Lactose is used for making tablets, which are further tested for Hardness, Friability and Dissolution time. Demineralised water is used in the manufacturing process and for washing bottles, tubes, micropipettes, etc. The bottles meant to be used for our products are made of neutral glass, washed with demineralized water and dried at 1500C for complete sterilization.